Although the Reckitt-Penty debates caused some turmoil in Distributist circles, they did have the virtue of forcing Chesterton to clarify his own ideas on the proper methods of bringing about a Distributist society. Both Chesterton and the League found it necessary to repudiate Penty’s anti-machine approach to Distributism. Penty later modified some of his extremist views and after Chesterton’s death wrote an official Distributist manifesto, but throughout the 1920s he continually alienated most Distributists by upholding controversial notions about social and economic reform. In particular he asserted that the private ownership of property need never be an absolute requirement in the Distributist state. The ownership of property, he insisted, could be justified only on the basis of how much social service its owner supplied to the community. In addition, Penty did not think it possible to redistribute property while wealth was in the hands of a financial and industrial plutocracy. 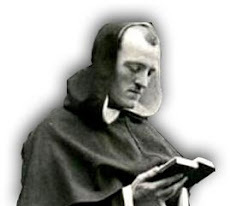 Thus he proposed the abandonment of both the finance system and machinery and called upon Distributists to work towards replacing the fluctuating currency system with a standard or fixed price controlled by guilds. With respect to property, Penty suggested that there should be no private ownership as such, but that land be held by the state and managed by local agricultural guilds. This would give the cultivator protection from the capitalist and would confer absolute security of tenure, while regulating ownership to serve the social needs of the community. Penty’s views brought forth an adamant response from both the League and G.K.’s Weekly. Chesterton was particularly hostile to his position on property. Did Penty mean that the state should deter people from getting too fond of property by keeping them from having any property to be fond of? G.C. Heseltine objected to Penty’s scheme of communal landholding, because it would lead inevitably to the development of complicated bureaucracies and breed political discontent. And, of course, most Distributists were convinced that peasant proprietorship was a mandatory requirement for social and political stability. Moreover, the League never fully believed that a system of fixed prices, in the absence of diffused proprietorship, could ever be a panacea for economic independence. Even as a tool for bringing about the redistribution of wealth, fixed prices required a type of coercion and bureaucratic control that most Distributists could not accept. Many considered obligatory guild membership, fixed prices, and even quality control infringements of liberty and were willing to countenance them only if public welfare could be preserved by no other means. In response Penty wrote that he could not abide by the League’s trust in laissez-faire principles, for economic liberty produced monopoly and industrial slavery. He disputed Chesterton’s assertion that change could be achieved through moral suasion and called upon Distributists to utilize real economic and political weapons in their fight against industrialism. In sum, Belloc and Chesterton, unlike Penty, were not primitive medievalists. Penty pined for a static society in which all forms of competition and commercialism would have disappeared. 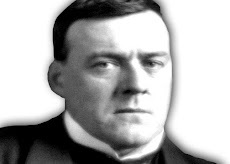 Although Belloc was anti-capitalist, he was not against the principle of competition but against capitalism’s tendency towards monopoly, which, in itself, would eliminate free enterprise. Chesterton and he sought to mitigate the excesses of industrial capitalism so as to restore the small man to a more secure position in the marketplace of free competition. The real danger was that social credit would make life too easy, and men might never realize that a fundamental change of heart and a total rejection of modern culture were needed to revitalize Western civilization. 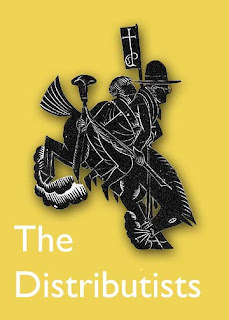 Chesterton’s own feelings about Distributist theory and the measures required to transform it in to reality were discussed in scattered articles throughout the early months of G.K.’s Weekly and subsequently incorporated in a book entitled The Outline of Sanity (1926). Its publication was meant to serve as a guideline for League discussions as well as to clarify basic Distributist principles. It was also intended to quell the voices of pundits who had chastised Chesterton for neglecting a plan of action for building a Distributist society. In very clear language, The Outline of Sanity proposed two distinct stages for the implementation of social reform. First of all, the drift of property and wealth towards monopoly and the corresponding destruction of small ownership had to be halted. The individual consumer could play a role in this effort by mounting a boycott against big shops, chain stores, trusts, and monopolies. It was important that the people be made to realize that the monopolist momentum was not irreversible. Chesterton believed that the individual citizen could do something to modify the tendency towards the servile state; once the plutocratic pressure was removed, or even eased, the appetite for private ownership would revive. The state could also assume an active role in this first stage of confrontation by outlawing the plutocratic business techniques (such as price wars and below-cost selling) that destroyed small businesses. The government might also provide free legal services to the small property owner so that he could better defend his holding in a court of law. In short, Chesterton was confident that the individual Englishman could halt the deterioration of modern society, provided he were informed about the evils of monopoly and given a fighting chance by the state. The second and more positive stage of Chesterton’s reform called for the development of a model Distributist community, comparable to Gill’s “cell of good living,” which could serve as a moral and practical inspiration for the construction of a more normal society. He suggested a balanced industrial-agricultural society with a solid peasant base as the working model. It was to be a society of diffused property in which every man could direct the affairs of his own life, construct his own environment, eat what he liked, and wear what he pleased. The ownership of small-scale property would provide excitement to life, help inculcate responsibility through personal choice and introduce the challenge of being creative within limits. Once again, the government was asked to give Distributists a helping hand. 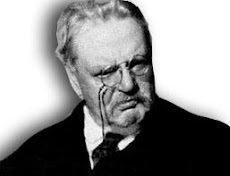 Chesterton proposed that the state initiate special differential taxation so as to discourage the sale of small property to big proprietors and facilitate the purchase of land by the propertyless, destroy primogeniture, protect and subsidize needed experiments in small property holdings by tariffs if necessary, and sponsor educational programs designed to encourage handicrafts and farming. Lastly, workers were urged to organize special guild organizations which ultimately would buy out the capitalists and exercise cooperative control of all industry.